Dr Simon graduated from Medicine with Honours at the University of New South Wales. He completed neurology training in Sydney, followed by a Clinical Neurophysiology Fellowship at the Institute of Neurological Sciences, Prince of Wales Hospital. Dr Simon gained further subspecialty expertise in the United States, where he undertook a Clinical Neurophysiology and Neuromuscular Medicine Fellowship at the University of California, San Francisco (UCSF). His PhD studies explored novel approaches to measure nerve injury in motor neurone disease and peripheral nerve trauma. Dr Simon has an interest in all general neurological presentations, such as headache, stroke, epilepsy, dementia, tremor and Parkinson's Disease. He has a subspecialty focus on disorders of nerve and muscle, including nerve injury and entrapment, neuropathy, myopathy and neurodegenerative disease. Dr Simon has expertise in clinical neurophysiology testing and nerve and muscle ultrasound, which are used to diagnose nerve and muscle damage. Dr Simon performs a range of therapeutic procedures including botulinum toxin injections for migraine, movement disorders and spasticity, and nerve blocks. Dr Simon has an ongoing involvement in clinical research, focusing on developing imaging and clinical neurophysiology techniques to better measure nerve and muscle injury. 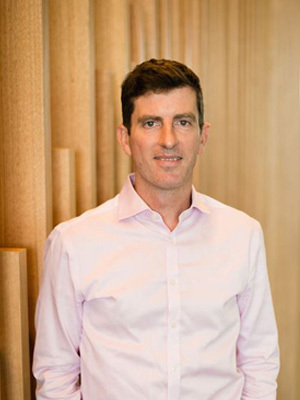 Dr Simon is a Consultant Neurologist and Head of Neurology at Northern Beaches Hospital. He is a Conjoint Senior Lecturer at University of New South Wales. Neil works in our Dee Why clinic on Tuesdays, and Thursdays and Northern Beaches Hospital clinic on Monday, Wednesdays and Fridays.